There are many benefits to sending your child to a Christian school. The main one is that it can help to further teach your child the fundamental beliefs of Christianity throughout their day when they are away from you. 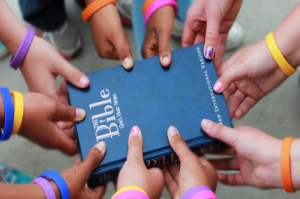 If this reason is high on your list, then you should certainly take a close look at the options in Christian schools in your area to see if one of them fits the beliefs and needs of your family. Occasionally, though, getting an education that is Christian based may mean you are sacrificing some of the education they could be receiving elsewhere. I have heard of many Christian schools that have put subjects like science and math in the low priority group in order to spend more time learning Christian principles. Luckily, this is not always what happens. When it comes to your family, only you can make the choice that is the best. Just don’t make a rash decision about where to send your child. Consider all of your options, research the schools you are considering, and talk with other parents about their experiences with the school systems. That is the best way to choose any school.